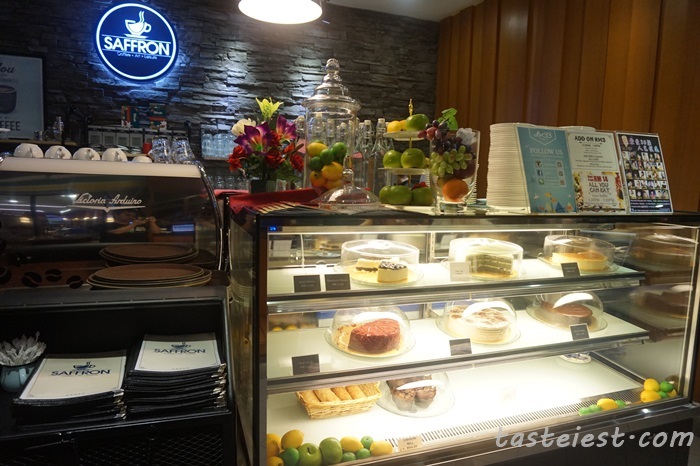 Saffron restaurant located at basement of Prangin Mall, same floor with Chateau 33, Imperial Chinese Cuisine and Pizzaiola. 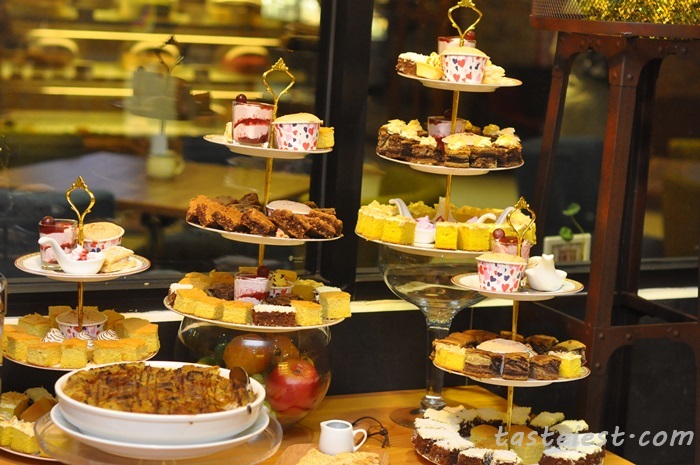 We have previously visited Saffron during 2015 Valentine and have really good impression with their food, service and environment. 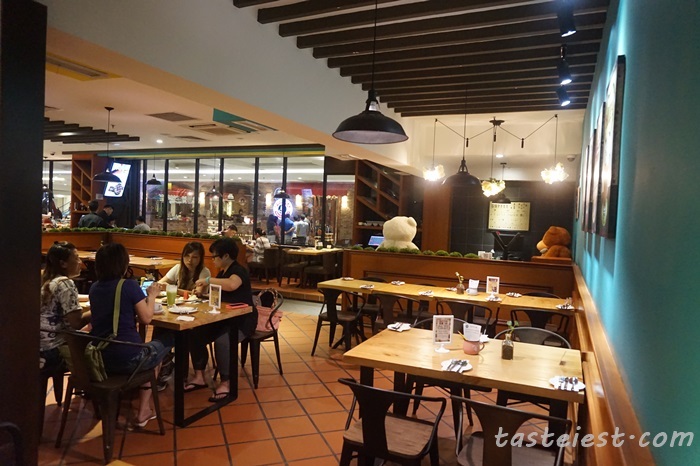 Although we don’t get much choices during Valentine Day but we are happy with the food served and price tag. Saffron Restaurant are now serving Semi Buffet with any main dish order and the good news is……main dish starting from RM14 ONLY. 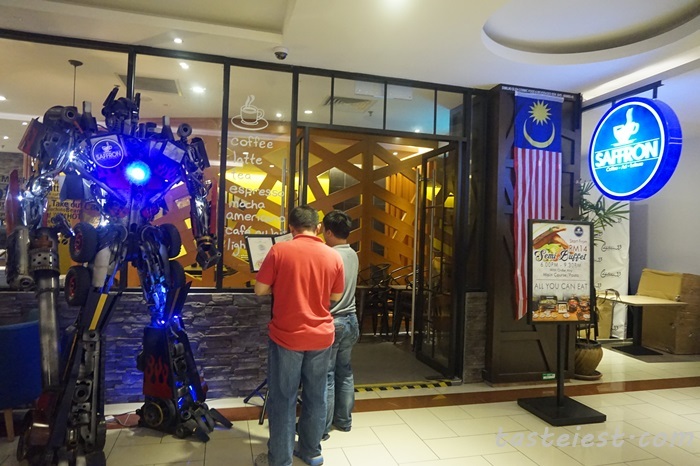 We are greeted by big handsome gentleman…..Transformer (made in Saffon?…LOL). 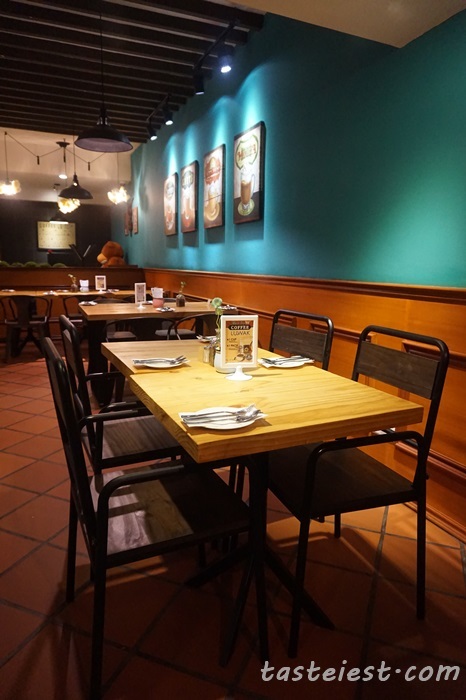 Step into the restaurant make me feel comfortable with proper lighting and nice decoration, semi buffet item are placed near to entrance with coffee and dessert counter, great coffee aroma surrounding the restaurant making fresh feeling. 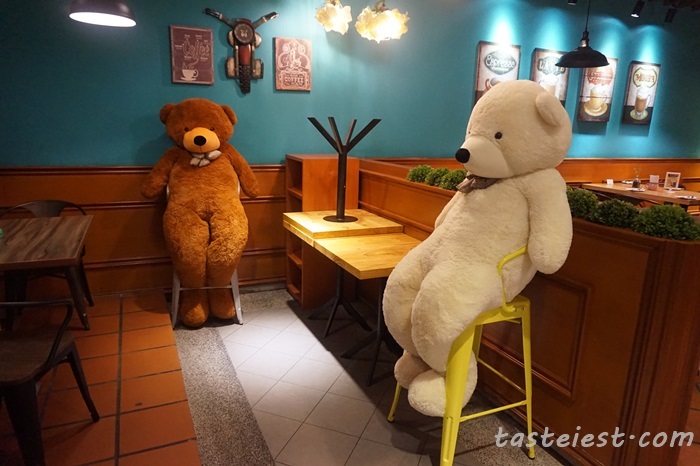 Hey Teddy, why are you siting there? Are you scare of Autobot outside? 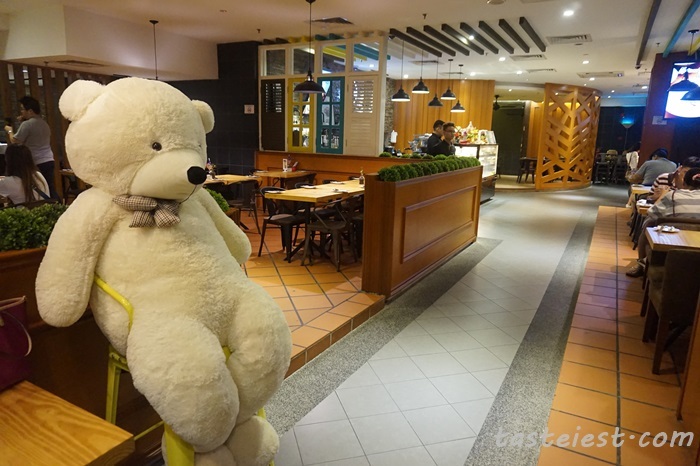 Lovely bear….definitely will attract a lot selfie from girl. 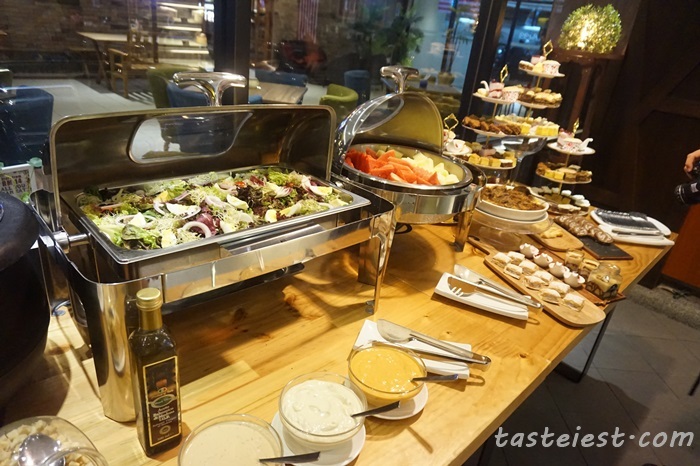 Semi Buffet only available for dinner 6pm – 9.30pm. 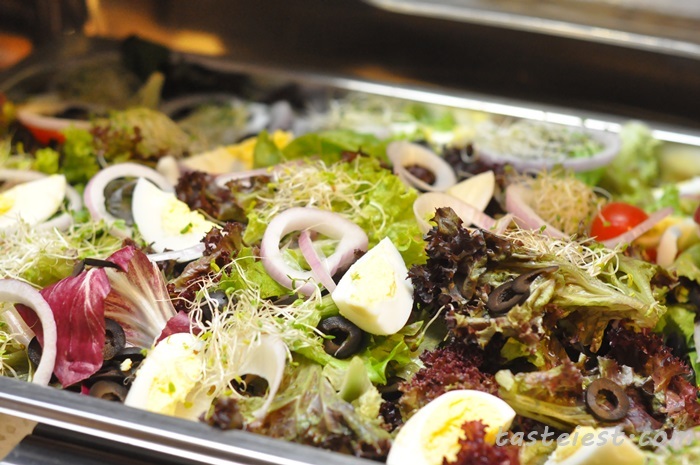 You just need to order one main dish/paste starting from RM14 to enjoy semi buffet, included in semi buffet are soup, salad, fruits and dessert. Unlimited supply and refill promptly! 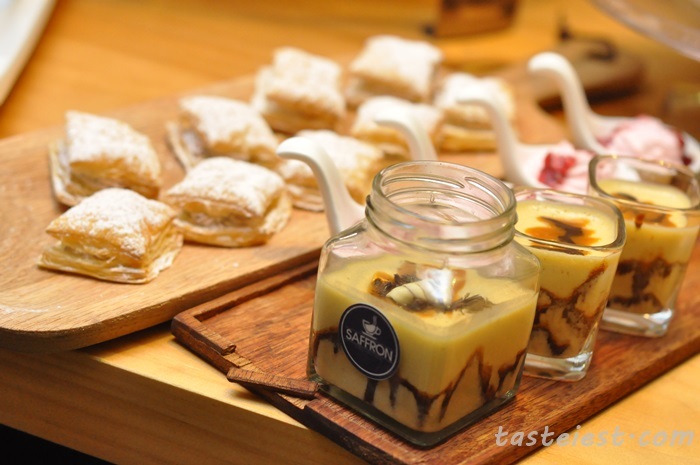 We thought it going to be simple dessert but we are wrong, they have complete dessert line with so many choices. 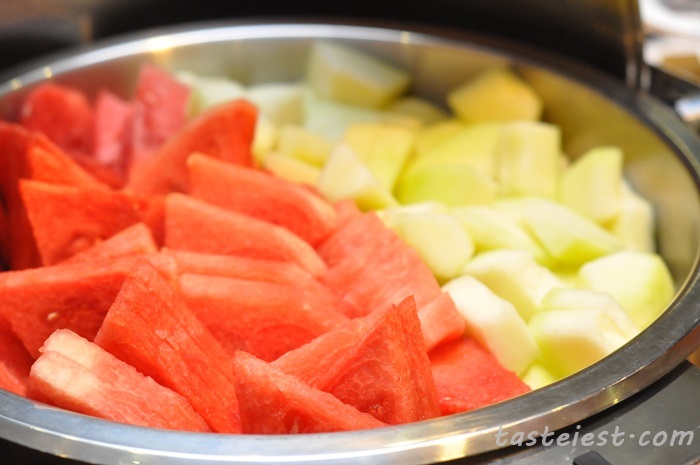 Fresh fruits of the day are honey dew and watermelon. 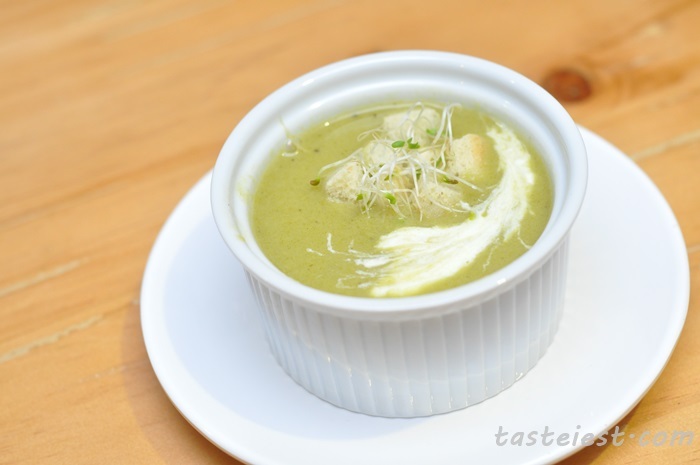 Soup of the day “Broccoli Soup”. 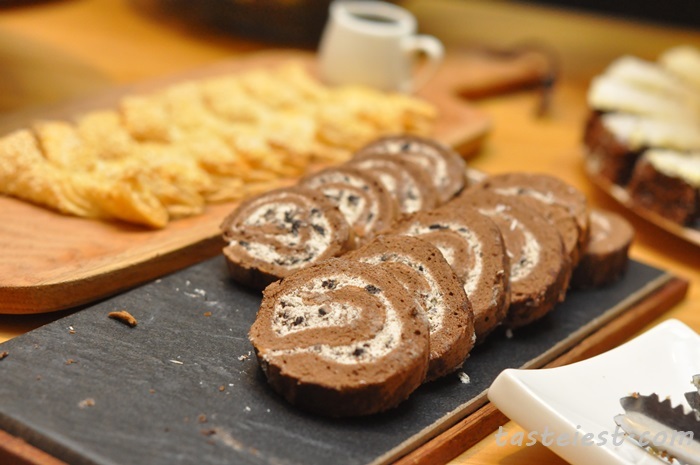 Let do something different today, eat dessert before main dish. 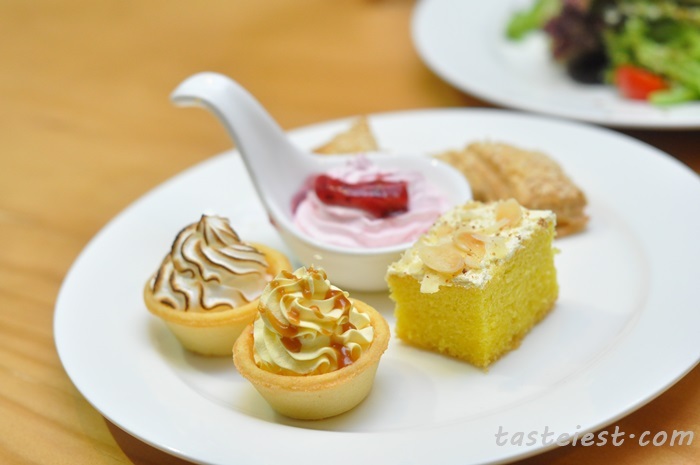 It is so attractive that we can’t stop our self from starting with dessert, we are impress by the variety and quality of dessert. 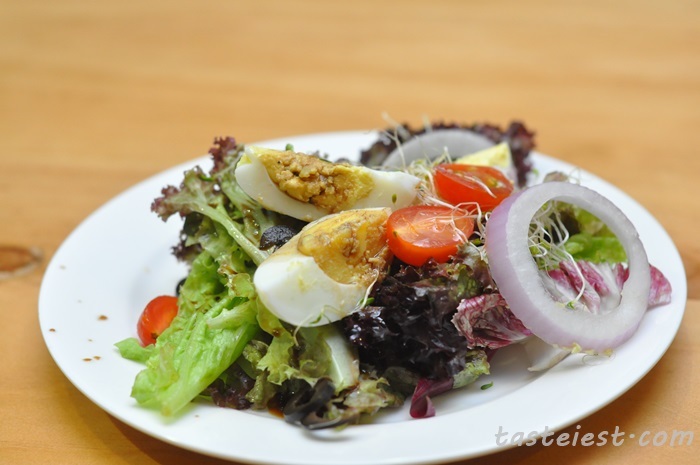 Salad came with egg and assorted fresh vegetable. Broccoli soup taste a little bit sauteed and sweet. 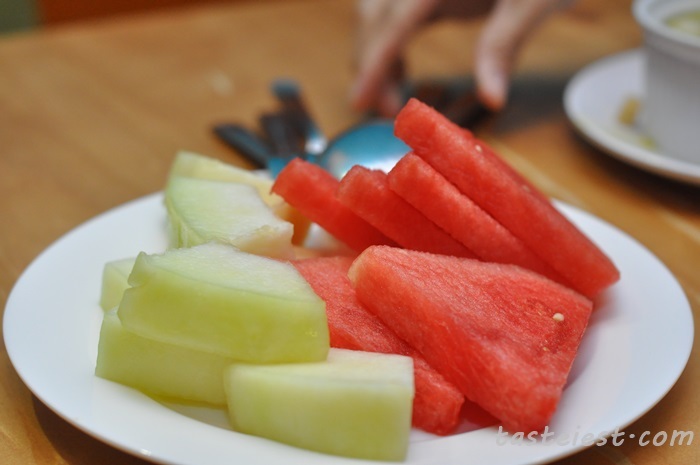 Fresh fruits. Enough? Yes, that is what you get from Semi Buffet, dessert, fruit and soup that can fill your stomach even before main dish served. 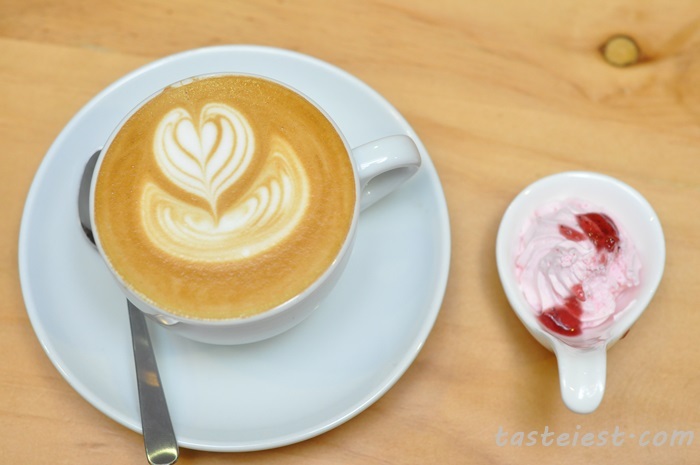 We have blog about 1st Avenue Cafe & Bakery Fair last month and talk about Saffron coffee, we all know that Saffron serve great coffee and for sure we need a few more coffee this round. 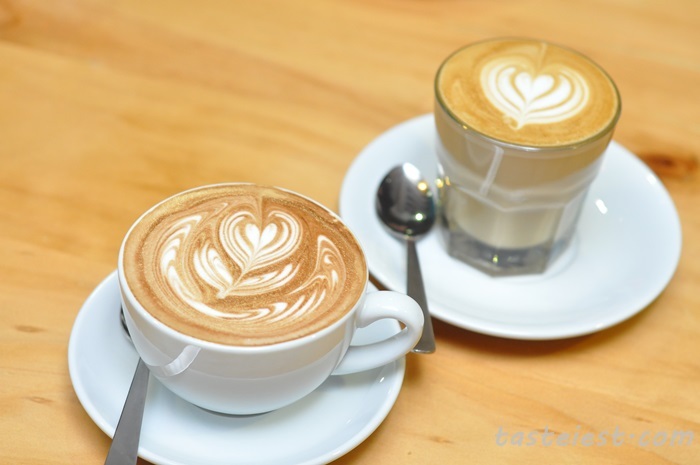 We order Piccolo Latte and Cafe Latte, really enjoy the great flavor. 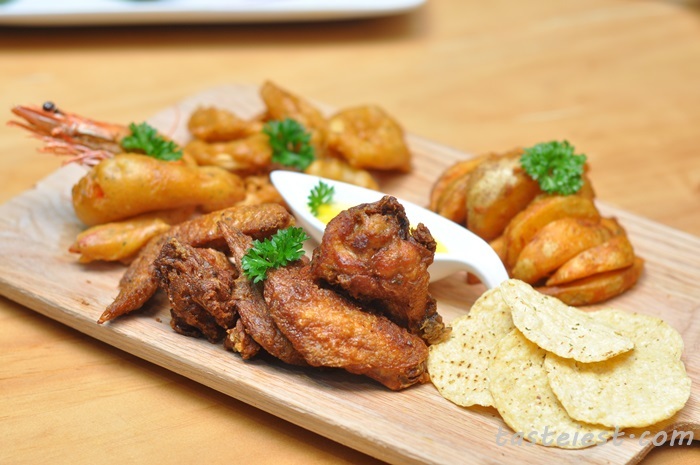 Grilled Platter RM24 consist of Potato, Squid, Prawn, Nachos and Chicken Wings. Nice food presentation with the use of pizza board, it make the food look so appetizing. 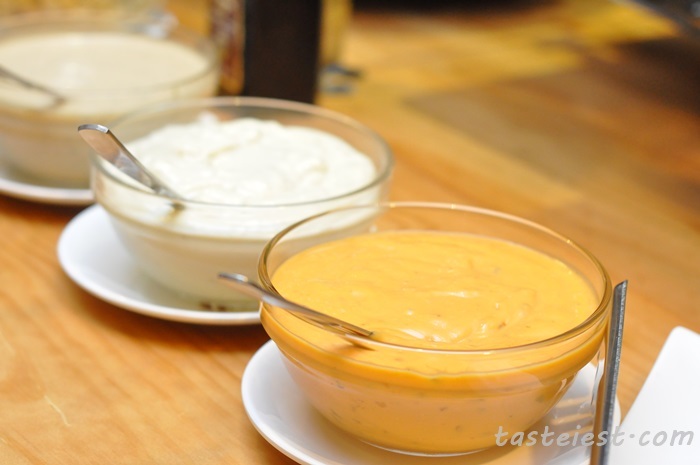 Squid and Prawn are nicely deep fried to crispy texture and chicken wing are nicely marinated to flavor. 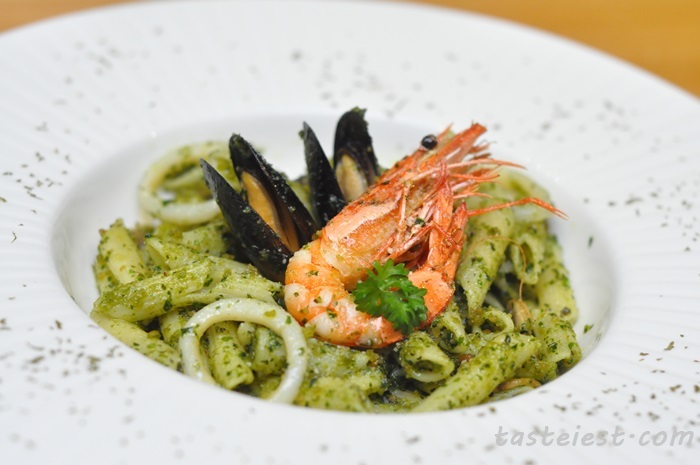 Seafood Pesto Pasta RM20, with the option of Linguine, Penne or Spaghetti cook with Pesto sauce together with Prawn, Muscle and Squid. 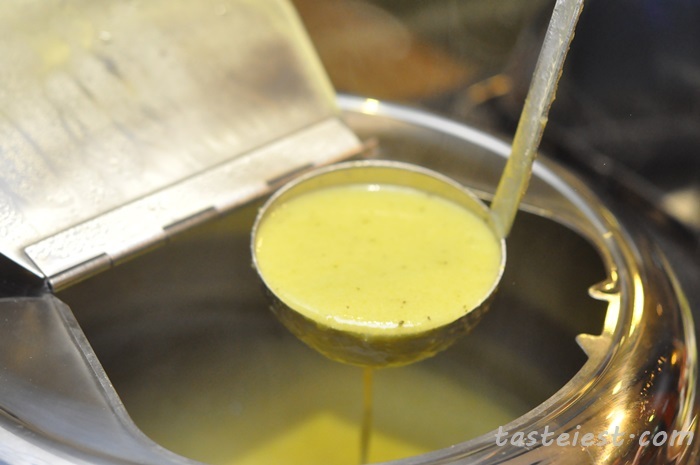 Pesto sauce consist of garlic, basil, olive oil, parmesan cheese and fiore sardo, it has very strong basil taste with a little bit milky flavor in it. 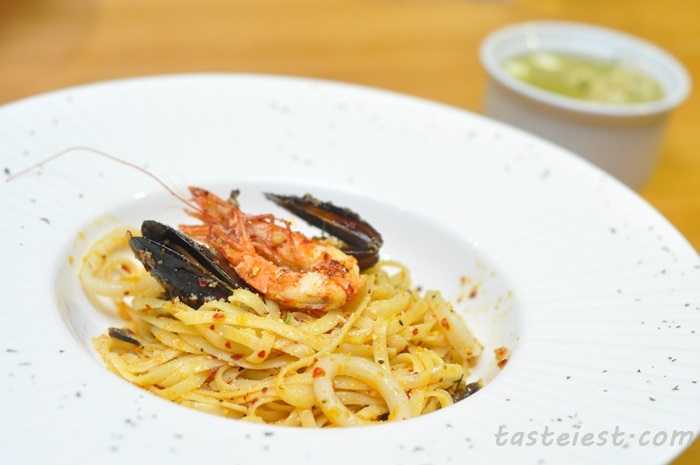 Seafood Aglio Olio Pasta RM20, we decided to pair seafood Aglio Olio with Linguine as the thin Linguine able to stick olive oil, garlic and chili flake better to create a good flavor pasta. 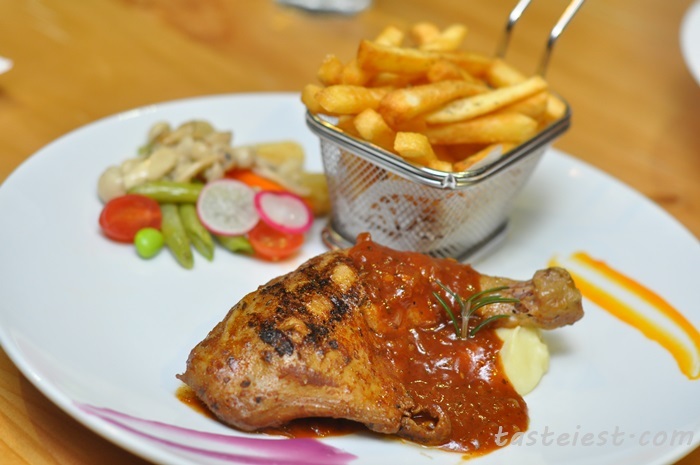 BBQ Chicken RM19, nicely marinated chicken drum stick grill to crispy skin and served with a bucket of fries and stir fried vegetable with mushroom. Chicken is flavorful especially taking with crispy skin which has sauteed taste and together with BBQ sauce it taste even better. 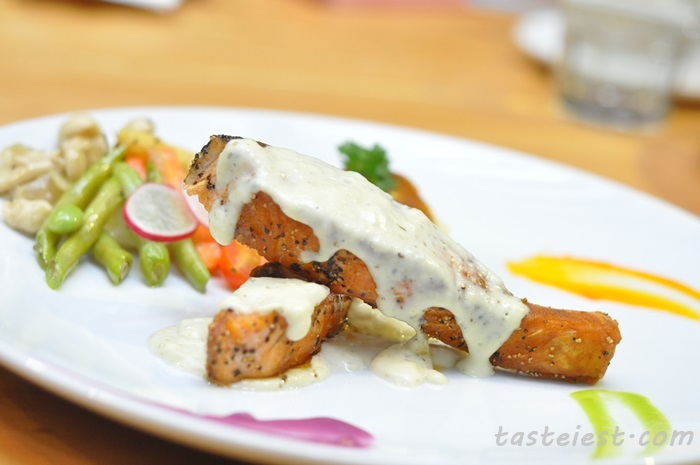 Norway Salmon RM29, pan grilled Salmon served with creamy butter sauce on top, together with stir fried vegetable and mash potato. Personally I feel the salmon to be a little bit small, instead of cutting into two pieces I would prefer it to be one big slice to better contain the moist in Salmon meat. 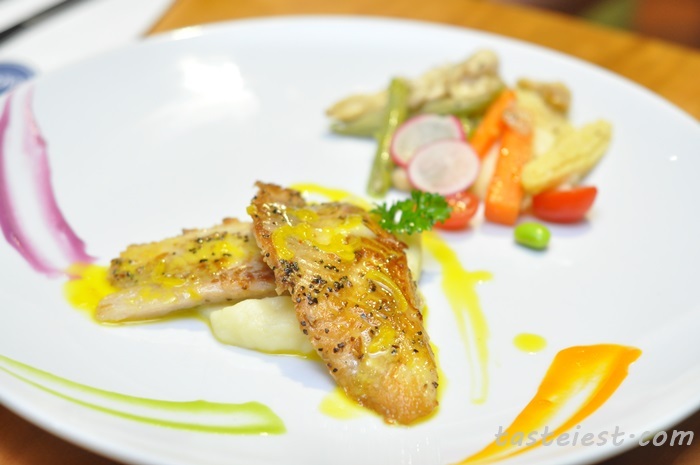 Saffron Creamy Fillet RM29, pan fried fish fillet served with sweet and sour sauce and served with mash potato and stir fried vegetable. 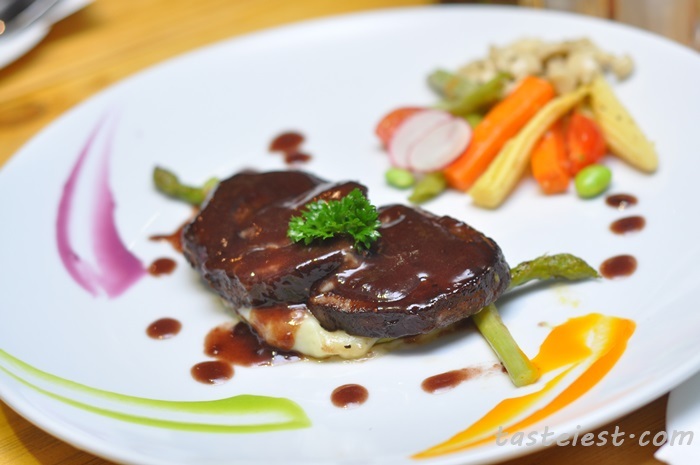 Rib Eye Steak RM42, two slice of steak pan fried and top with special black sauce, served with stir fried vegetable. 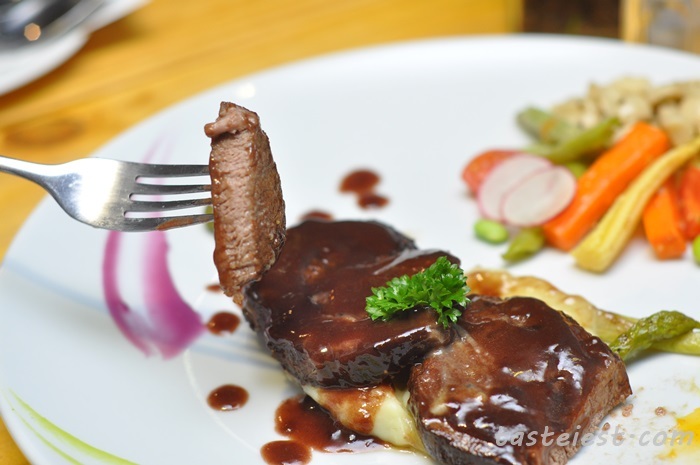 Steak is slightly overcook to dry texture but the sauce taste pretty good. 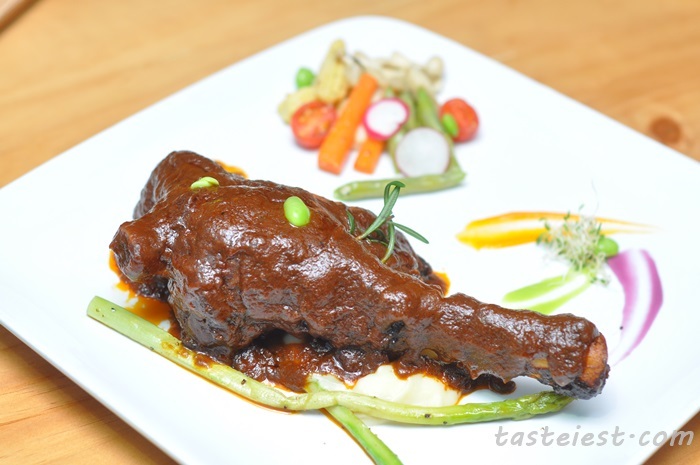 Lamb Shank RM29, big chunks of Lamb Shank served with asparagus and stir fried vegetable. I really can’t believe such big portion of Lamb Shank only cost RM29, it must be the best value item in the menu. 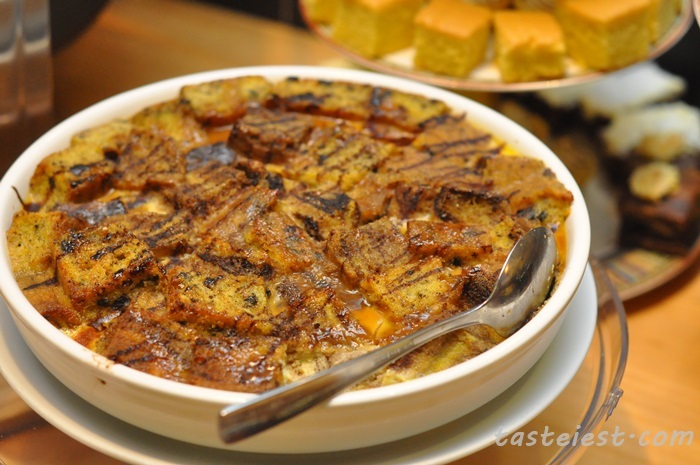 Lamb Shank is nicely braised for long hour to create the soft texture and flavorful meat. 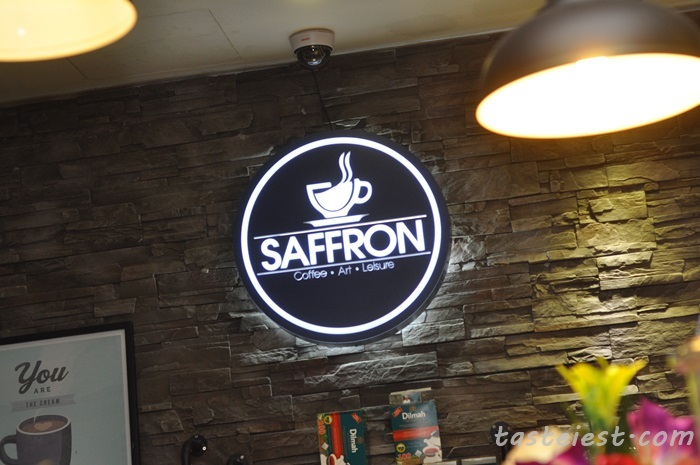 Overall we are very impress with the dishes served in Saffron, good value semi buffet that can easily fill up your stomach. 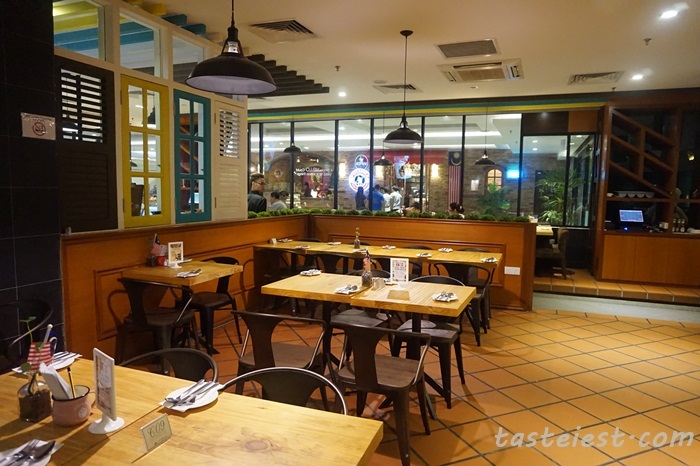 Lot 33-SB-01, Prangin Mall, Jalan Dr. Lim Chwee Leong, 10100, Georgetown, Penang.